Celebrate a special someone's upcoming graduation from the military, police academy, firefighters academy or ranger school with this custom and charming greeting card, which is perfect for an army, navy, marine, air force, ranger, police or firefighter graduate. This card can be fully customized and personalized at no extra charge and also includes a free matching colored envelope, round envelope seal, and a 2-oz U.S. Forever postage stamp suitable for mailing a square card of this size. 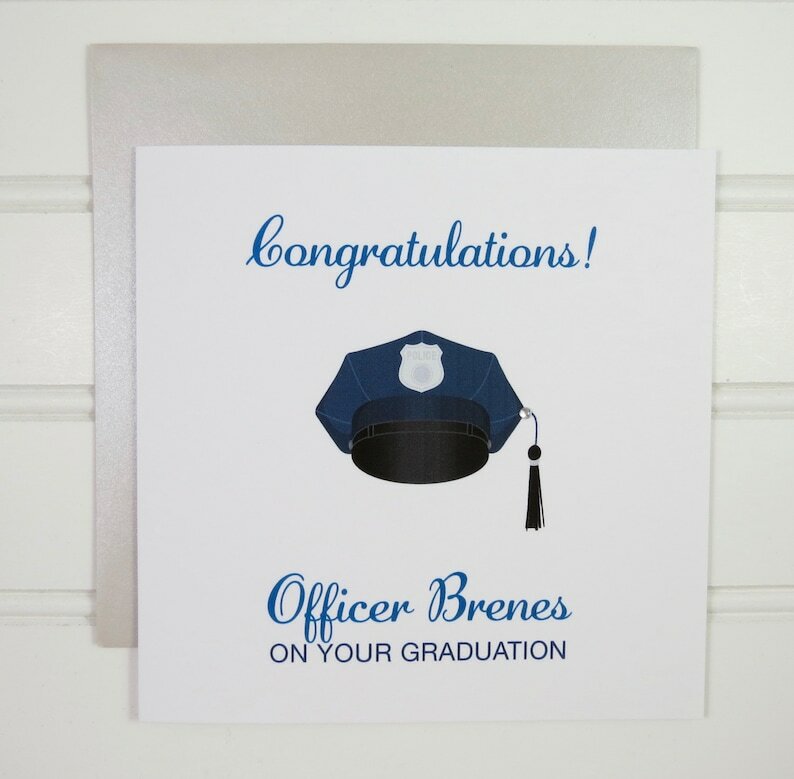 This personalized graduation card has an illustration of a graduation hat that pertains to the branch of military that the graduate is in and you can add the graduate's name to the front and back of the card. The square card is blank on the inside and measures 5.5” x 5.5”. Your handcrafted, graduation card will be individually printed in my home studio so you can further personalize it by adding any name you wish on the back of the card as shown on the photo. Provide the name(s) you want printed on the front of the card and the back of the card in the Notes section. The card came out great!! Great communication from seller and fast shipping!